Have a question for COMO Metropolitan Bangkok? "Everything from the check-in experience to the departure experience was perfect." "Staffs are very kind, a good swimming pool and the wonderful breakfast menu and easy to go to MRT station by free shuttle"
"Yet again this hotel is outstanding felt so welcome and assi..."
Treat your family to an indulgent and unforgettable getaway at the COMO Metropolitan Bangkok. The rooms at this property look out over the city, giving you picturesque views of the city. 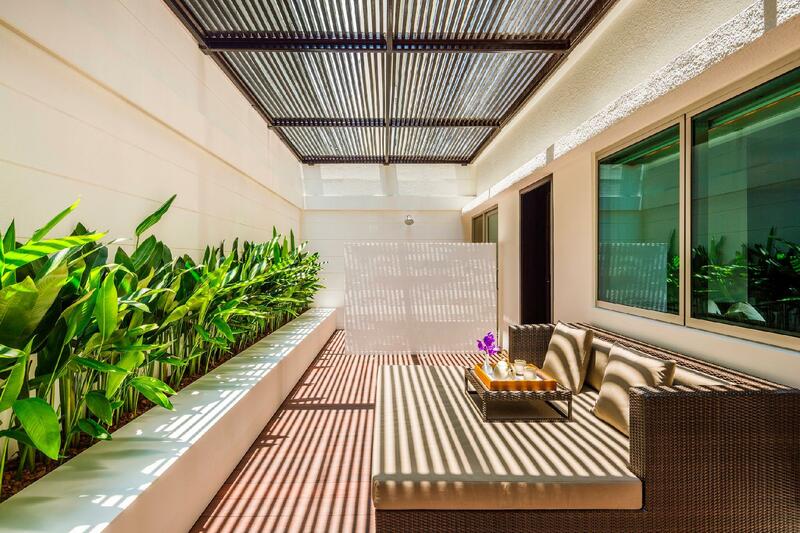 The property is near attractions and landmarks such as Surapon Gallery, Red Bull X Park, St Andrews International School Sathorn Campus, Bangkok CityCity Gallery, and Ruen-Nuad Massage & Yoga. From a concierge to a babysitting service, it offers numerous convenient and useful services for guests to utilize. 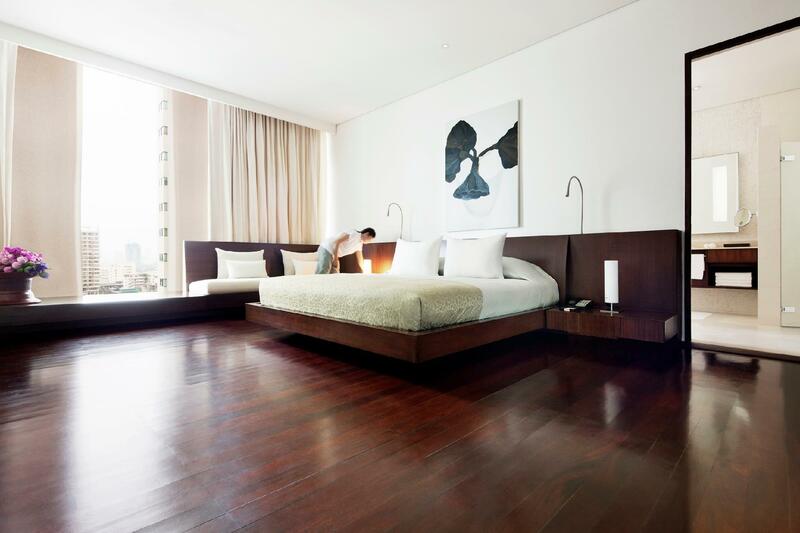 It features family rooms, so your whole family is provided adequate space to have a good time together. With Thai, American, and Asian restaurants nearby, you can enjoy different types of savory cuisines during your stay. 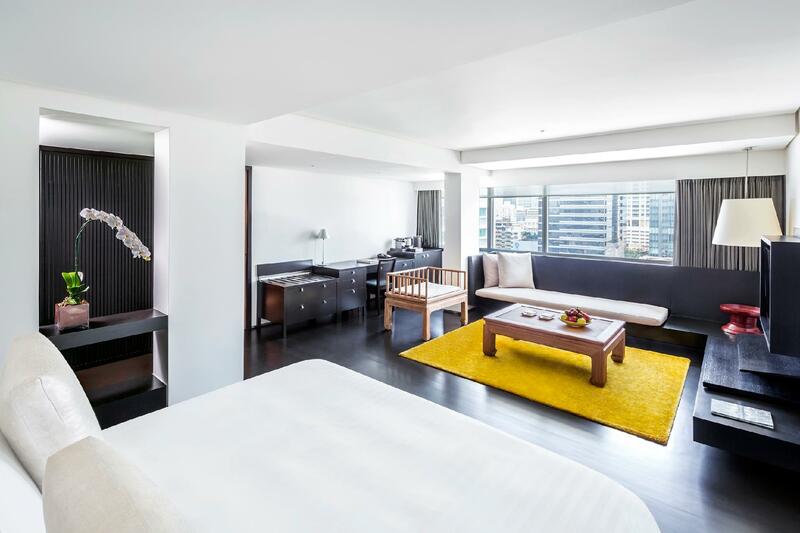 The COMO Metropolitan Bangkok features a bar, restaurants on-site, a coffee shop, and room service, so there is an assortment of dining and snacking choices. The property has a fitness center, a spa, and a hot tub, among other amazing facilities. It has numerous convenient features, such as shops, a currency exchange, as well as a smoking area. There's free Wi-Fi available in all rooms, as well as Wi-Fi in common areas, so guests won't have to spend money on buying a local sim card. 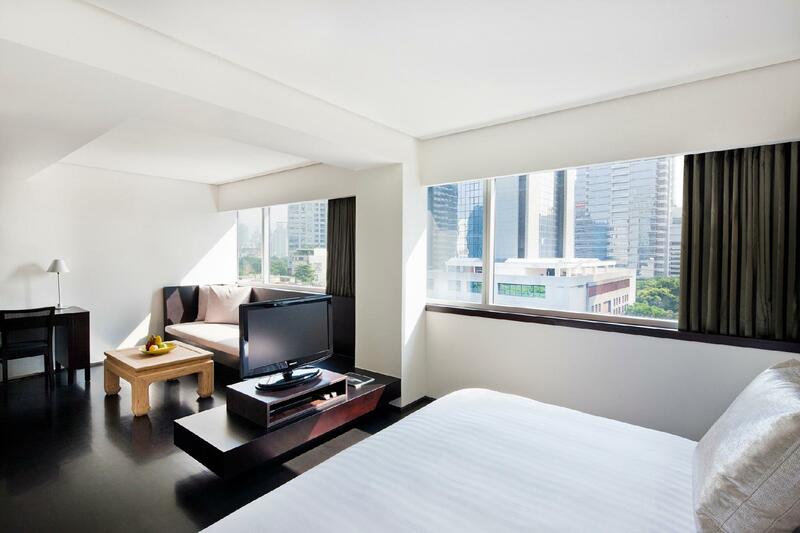 The COMO Metropolitan Bangkok has air conditioning, a hair dryer, slippers, and an alarm clock, as well as an in-room safe box, a sofa, bathrobes, linens, and more. Offering guided tours, the COMO Metropolitan Bangkok is a great place to stay to learn about the area and see everything you can while you're here. Massages are available, meaning that you can stay in the area and spend the day relaxing and pampering yourself at the massage place nearby. With pet-friendly facilities, the property is great for travelers who wish to take their pets on vacation with them. It features facilities for disabled guests, is wheelchair friendly, and provides guests with elevator access. The COMO Metropolitan Bangkok has an around-the-clock front desk, so there is always someone on call to help with any questions. This property has express, private, and 24-hour check in and check out, so you can use the service that best suits your needs. It offers check-in from 02:00 PM and check-out until 12:00 PM. Lumphini MRT Station is 700 m away and Sala Daeng BTS Station is 800 m away. The COMO Metropolitan Bangkok has an assortment of transportation options including airport transfers, shuttle services, and car rentals. "First of all, I appreciate a hotel manager(when I was arrive..."
Twin beds are not available for City Rooms. all the staffs are warm and helpful. breakfast is really lovely! The full Como experience all without leaving the hotel grounds- fantastic service, good yoga classes, Swimming pool, quality massage, facials and yummy, award winning food. Perfect for a weekend getaway... will definitely be back! It has been my 3rd time this year visiting BKK and staying at Como Metropolitan. Everything is wonderful as usual, including friendliness of staff at front desk, Glow restaurant, pool, spa, etc. Though someone may complain that the location is a bit far from BTS, I specially like this as I enjoy the 15 min walk to BTS and pass by the local food stalls. Hotel facilities are maintained in good condition, and it is no doubt that I would stay here again when I visit BKK next time. All VPNs and proxies were blocked. Clean and quiet, excellent breakfast and great facilities. The staff were very professional and friendly. It was my partner's birthday and the hotel surprised him with a complementary cake. A wonderful stay - can't fault it. Ideal for a mini break, we arrived late Thursday. The GM greeted us personally and even took the time to make a dinner booking for us at Nahm, the Thai restaurant - we had enough time to get upstairs and freshen up before back down for a lovely meal, great flavours and not watered down like some other restaurants we tried on subsequent evenings. Breakfast is a treat, great choice depending on if you want the full Como Thai style bacon and eggs, or the much lighter steamed greens with poached eggs with green goddess sauce for the more health conscious. The hotel are nothing short of delightful, we will be back. Room is very big, nice and clean. Staffs and very nice. Love the pool and gym there. No complaint. Btw, it not good for the people who likes to take BTS, as the closest station is still about 10-15 mins walk. But i like to take taxi, so its fine! lol The food at the hotel restaurant is pretty good, its worth to try tho. In addition to the hotel being very nice, I cannot say enough about how helpful and nice the staff was. Our airline lost our bags, and we had difficulty communicating with the airline, so the amazing staff at the hotel handled everything and was able to coordinate with us and the airline to get our bags back. Breakfast was great too! The service is good the moment you get to their gates. From the guards and bellboys to the wait staff at the restaurants, they were all smiles and attentive to my needs. I love the hydrobath at the shower area and the yoga. These are complimentary with the stay. There is only one yoga class daily and it starts at 8am. There is an hourly shuttle service to Silom complex that starts at 7.30am and ends 9.30pm. Breakfast is amazing. Healthy options available at the 2 buffet spreads and you get to select a dish from the menu. The glow healthy breakfast selection offers the gluten free selection. It was a great stay at Como. Room was very big and the bathroom was enormous. Appreciated the kettle and Nespresso coffee machine. The real disappointment was the breakfast. Blind room that looked like a cafeteria . A very limited buffet with the possibility of ordering one dish. Usually 5 stars hotels have amazing buffet breakfast. Not the Como! 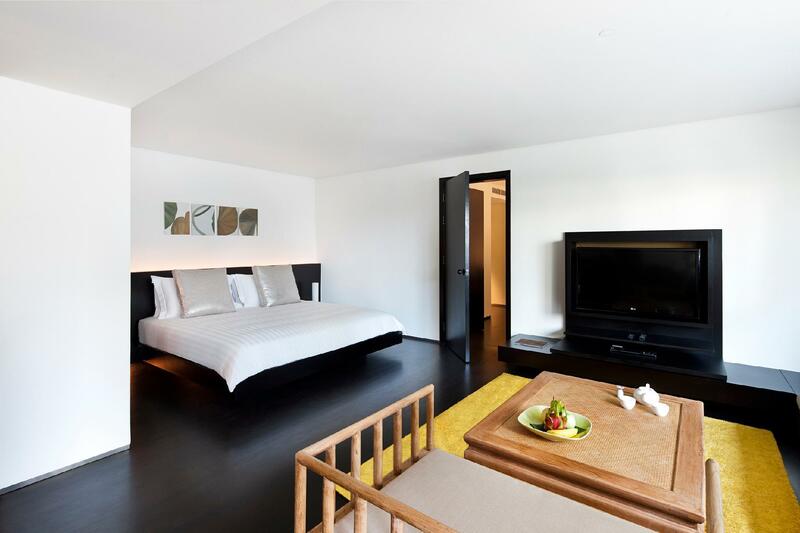 This hotel is located in Sathorn and will be fully appreciated by a frequent Bangkok traveller looking for a hideaway hotel within the bustling city. Rooms are spacious and clean, though the hotel is not new, but its always been very well maintained. 1) 10-15 mins walk from Saladeng BTS station but shuttle bus service per hour was provided by the hotel. 2) The Metropolitan room I booked was clean, size ok & quiet. 3) Overall the staff is helpful and polite especially the lobby staff, but the room service staff may need to improve as they may forget to fill the shower gel etc. I used to stay in another hotel nearby, but its pool is recently under renovation and therefore I chose Como Metropolitan this time. Everything is much more than I expected. Excellent and professional staff. 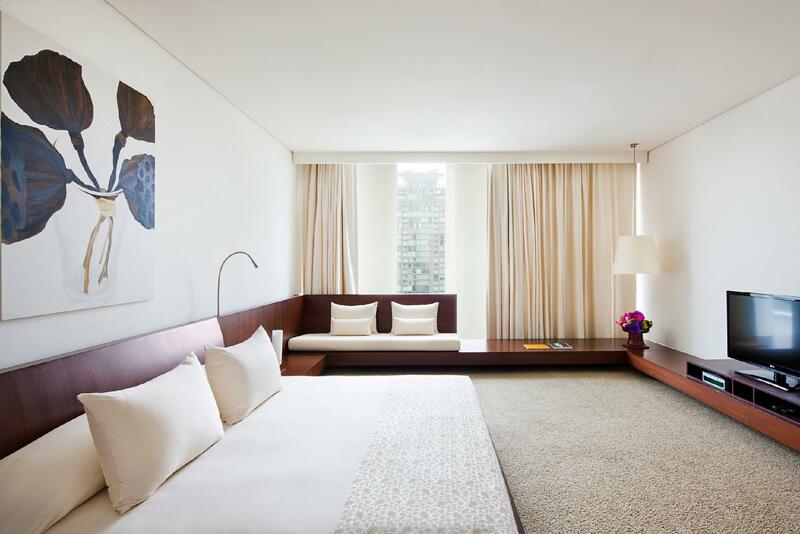 Spacious room and hearty room services. The pool is great and worth spending a long time there. I will definitely choose Como Metropolitan when I go to BKK next time.